Singing, dancing, broad smiles, lots of greeting people with Habari, (to which the reply is nzuri) and a whole lot of waiting around, is one way to describe a trip to Tanzania. Eleven members of St Andrew’s Church and the local community of Paddock Wood have just returned from sixteen days with their link parish of Bereko in the Kondoa Diocese. The partnership between the parishes has run for 10 years and bi-annual visits have taken place during that time. The village of Bereko is at the northern end of the Diocese and has approximately 3,500 inhabitants, spread over a wide area. Situated on the main Cape to Cairo Rd, this predominantly Muslim village has become our second home over the years– and one that offers a genuine and loving welcome every time we visit. The Church in Bereko was described by the Muslim community leaders as ‘the door through which our community is helped’. On every visit our relationship goes deeper and this time we were welcomed into any home in the village and told that we are family. Being family means that we were able to move past polite conversation and see and talk about life in Bereko in new ways, the impact on us has been profound. We took three educationalists who supported the teaching and planning for the primary and secondary schools. One is a Schools Inspector and he met with the Inspectorate in Kondoa – who then promptly decided to visit Bereko Primary School the following week to see what was happening in this little out of the way school. That prompted more conversations and the genesis of a new and hopefully fruitful relationship between the Head Teachers of the primary and secondary schools. Inspired by a visit to the UK the previous Primary School Head Teacher, set up a special needs class and on this trip we were able to take with us a professional from the UK to encourage and support her, providing physiotherapy and practical help. This work in Bereko is being developed in only 3 schools in the entire district and was another reason for the interest from the District Education Officer. On our last Sunday, joined by a group from Tonbridge Parish Church and Reverend Andrea Leonard (who was on placement there from St Justus Rochester) we took part in a special celebration service in Kondoa Cathedral to mark 15 years since the Diocese of Kondoa was established. The preacher for this ‘5 hour marathon service’ was the Archbishop of Tanzania, Archbishop Jacob, a friend to our Diocese and Bishop of Mpwapwa. Our reflection on the 10 years of supporting this village and its people is that it is a privilege and a joy, and by no means one way. Given the right support and help these resilient brothers and sisters live their life of faith amidst the most challenging of contexts and do it with joy, generosity and a great amount of love. And they welcome us into that world, and we are honoured to accept their invitation to become members of their family. 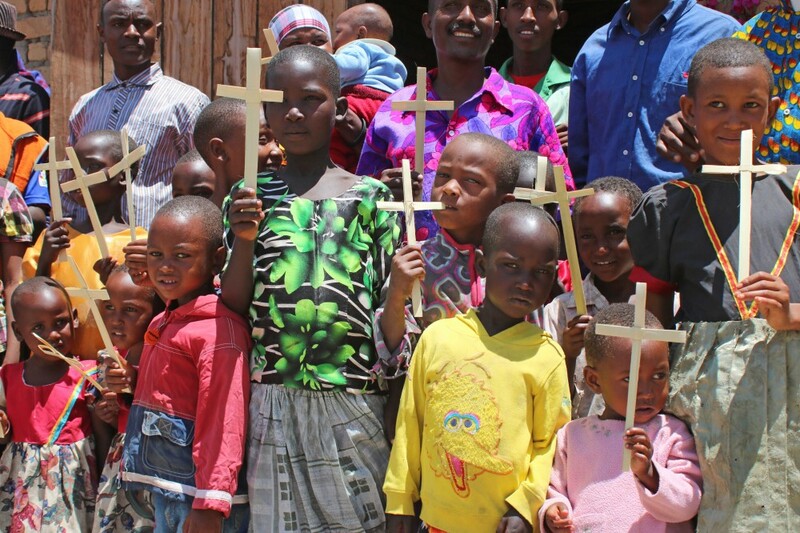 Note: The attached picture shows the Sunday school from Kikilo church in the Bereko parish who have made 2000 palm crosses. If you would like to purchase in 50’s these crosses to support Kikilo please get in touch on office@standrewspw.org.uk or 01892-837617. £9.00 for 50 crosses.